Atomic Robo 2x Combo! | Action Points! Hey guys. Atomic Robo is great. No argument. You know the only thing better than Atomic Robo? 2 Atomic Robos! As in, two issues of Atomic Robo have just come out this week! 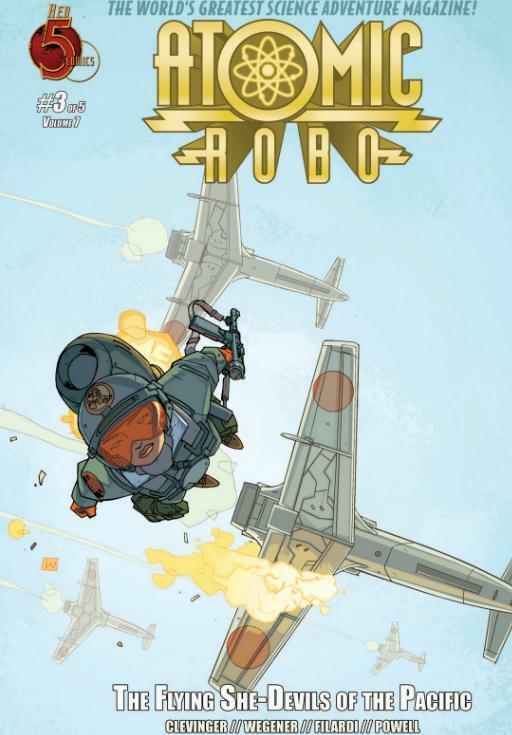 Atomic Robo and the Flying She-Devils of the Pacific (Vol. 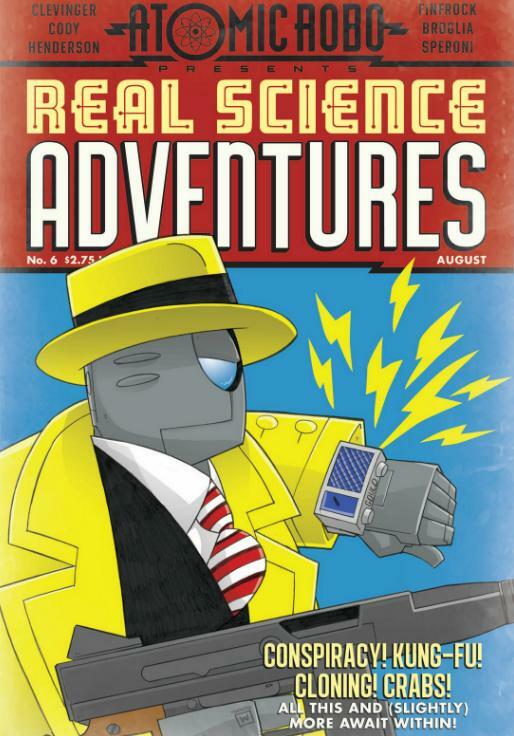 7) Issue #3 and Atomic Robo: Real Science Adventures #6 both released today. What are you doing reading this? GO NOW AND READ ATOMIC ROBO! Tags: Atomic Robo, Atomic Robo and the Flying She-Devils of the Pacific, Atomic Robo Present Real Science Adventures, Comics! To be honest, I don’t read a lot of stuff from small publishers. Atomic Robo is the only Red 5 book I read. A lot of what I read is usually from Image/Archaia. Not Big 2 yes, but I wouldn’t class them as “small publishers”. Still, if something grabs me, I’ll read it.